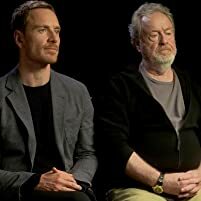 Check out our interviews with the director and stars of Alien: Covenant. Plus, check out the many roles of Michael Fassbender. Q: Is this movie a sequel to Prometheus? Q: Why would the scouting party not wear helmets on an unvetted planet? 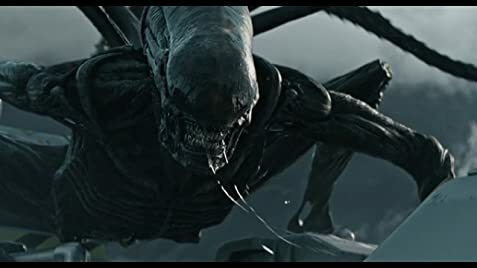 Q: If David created the classic xenomorph, how did thousands of eggs get aboard the derelict ship in the original Alien? 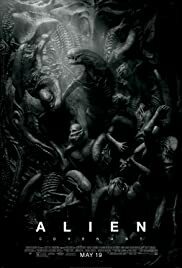 The Alien films have really covered the quality spectrum, that is if you include the films Ridley Scott has disavowed. However, Scotts films are all a cut above the rest. 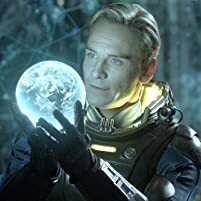 Covenant is the sequel to Prometheus, and although Prometheus was frustrating to watch, principally because the film leaves much unexplained, this sequel fleshes out the context nicely. I believe this film, like Scotts Blade Runner, will be reconsidered as one of his best, and I certainly now regret not having taken the opportunity to watch this on the big screen when it was still showing in cinemas. The film explores humanity's origins, and then mocks humanity for its infinite self regard. It says humans are puny, insignificant, fragile, on the verge of extinction and deservedly so. The film is spectacular in its themes and is difficult to comprehend in a single viewing. Watch it. Its the thinking mans Sci Fi franchise.